By March 1, 1915, Ottoman Forces had retreated back to their positions prior to the November offensive and the line stabilized to where it had roughly been in early November 1914. In the winter of 1915, the Allies asked Russia to help relieve the pressure on the Western Front by a renewed attack in the East. Russia in turn asked the Allies to relieve pressure on the Caucasus by a naval attack on Turkey. That request dovetailed nicely with British and French plans to attack Ottoman forces at Gallipoli. 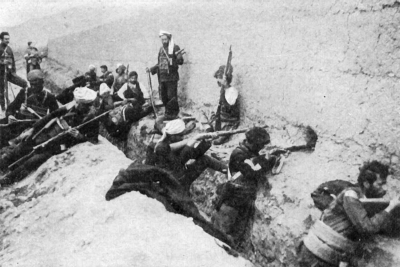 On April 20, Armenian irregulars launched an insurrection against Turkish forces in the city of Van. Some historians have argued that the Ottoman government deliberately provoked the insurrection and then used it as a pretext to justify the forced deportation of Armenians from all over the Ottoman Empire - an act that ultimately led to the deaths of between one million and 1.5 million Armenians between 1915 and 1918. 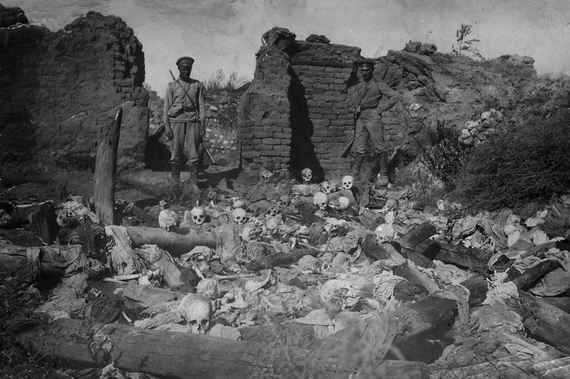 Others have argued that the decision to expel the Armenian residents of the Ottoman Empire had already been made independently of the Van insurrection. At the time, there were approximately 3 million Armenians living in the Ottoman Empire, of which slightly less than half lived in eastern Anatolia in a region commonly called Turkish Armenia or Western Armenia. Bitterly resenting Turkish rule and their second class status in the Ottoman Empire, the Armenians hailed the advancing Russians as liberators and cooperated widely with them. 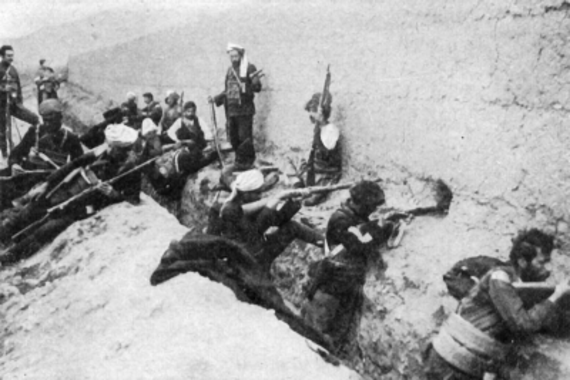 Armenian insurgents conducted sabotage in the rear of the Turkish lines. By 1915, over 20,000 Armenian volunteers had joined the Russian Imperial Army. 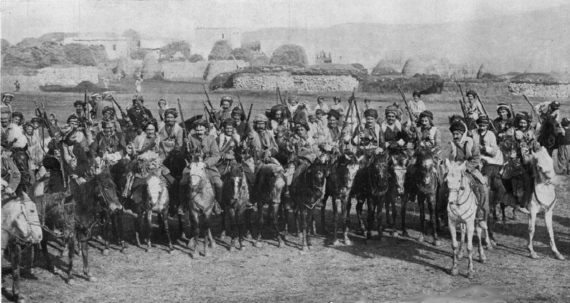 The number of volunteers and the associated Armenian Militia units that fought alongside Russian troops would reach approximately 200,000 men by 1918. On May 6 Russian Forces, under General Yudenich, began an advance through the Tortum Valley towards Erzurum. Despite a number of Ottoman successes in temporarily halting the drive, Russian forces reached Van on May 17. 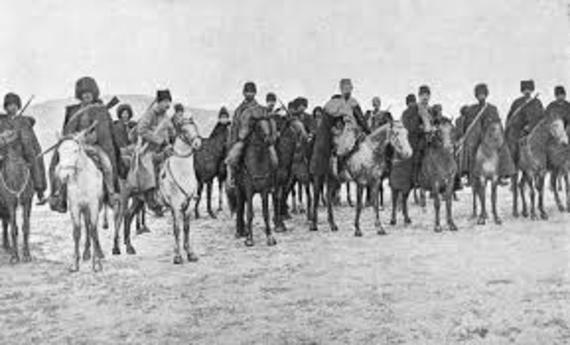 Ottoman forces continued to be pushed back, their efforts at resisting the Russian advance further complicated by the actions of Armenian irregulars in cutting their supply lines and the open revolt of a number of Armenian communities in their rear. Further Russian offensives continued throughout the summer of 1915, northwest towards Lake Van, and towards Malazgirt and Mus. 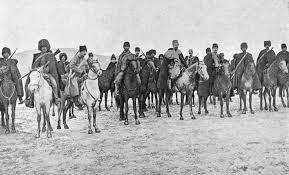 Under difficult conditions, in mountainous territory, the Ottoman forces were able to reorganize and bring in some additional reinforcements, notwithstanding that the war in Gallipoli was sucking up all available resources and manpower. By the end of 1915, the Russians forces in the Caucasus had reached a level of about 200,000 men and 380 pieces of artillery. 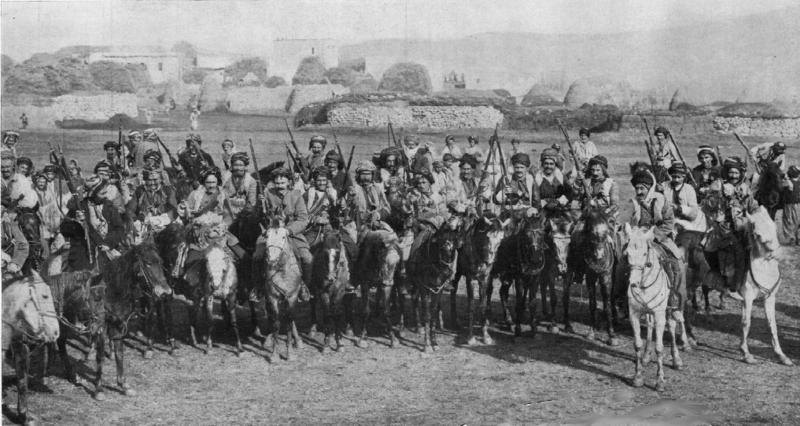 Turkish forces, including Kurdish volunteer units that had joined the Ottoman army, numbered 126,000 men, but only about 50,000 were considered suitable for combat. They were supported by 180 pieces of artillery. The defense of Gallipoli had taken its toll, leaving Ottoman forces weakened and vulnerable.